Ghee is a variety of clarified butter that you can make at home or buy in a commercially prepared form. It doesn't need to be refrigerated because it contains no milk solids, and it has a distinctive and fragrant flavor that is different from pure butter. Ghee is an incredibly flexible ingredient, but it consists entirely of fat, so it's not healthy to eat in large amounts. One tablespoon of ghee has approximately 135 calories, all of which come from fat. That small amount of ghee has 15 grams of total fat and 9 grams of saturated fat, or 45 percent of the recommended daily value. A tablespoon of ghee also has 45 milligrams of cholesterol, or 15 percent of the daily value. Ghee is free of sodium, carbohydrates, fiber, sugar and protein. Although ghee is entirely fat, it's also important to note that fat has some essential properties for health and even for weight loss. According to the Centers for Disease Control, fat should make up approximately 20 to 35 percent of your daily calories. Healthy fats help complete tasks such as preserving cell membrane structure, enabling your body to absorb nutrients and encouraging proper immune system function. However, most of ghee's fat calories come from saturated fat, and the CDC advises limiting total daily calories from saturated fat to a maximum of 10 percent. Eating high amounts of saturated fat is associated with increased risk of heart disease and diabetes. Ghee is commonly used in Indian cooking, but it's an easy substitute for butter and can be stored for longer periods of time. It also has a higher smoking point and a more complex flavor profile. To make ghee yourself, melt butter in a pan and bring the melted butter to a boil. Turn down the heat and simmer the butter for about eight minutes, until it turns brown and develops a lasting layer of foam. Milk solids will sink to the bottom of the pan. Strain them out with a towel or cheesecloth, and keep the strained ghee in an airtight container. 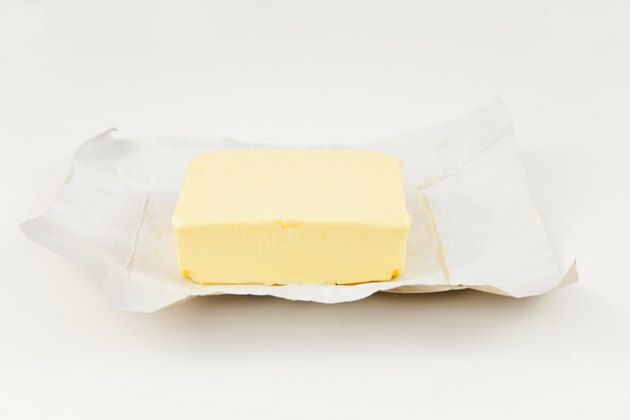 There are no scientific studies definitively linking ghee to specific health benefits, but some ayurveda practitioners believe that it is better for the body than plain butter. According to Dr. Vasant Lad, director of the Ayurvedic Institute in Albuquerque, New Mexico, ghee can promote flexibility and act as a lubricant for connective tissues in the body. Instead of relying on ghee as a singular remedy or health food, however, it's safest to meet all dietary needs by eating a wide variety of nutritious foods. For personalized nutrition advice, speak with your doctor or a registered dietitian.